Announcing the launch of Andante Travels’ 2020 preview brochure is a very special event because it marks the beginning of its 35th anniversary year celebrations. Andante Travels began back in 1985, with one tour and just one guest. The tour in question was Journey Through Wessex, which included visits to sites in and around the city it is based in, from Stonehenge and Old Sarum, to Salisbury Cathedral. To mark this milestone, Andante has brought this itinerary back for two very special departures next spring and summer – a homecoming, of sorts. Showcasing a total of 35 tours for the new year, destinations that Andante guests can visit in 2020 range from Belize to China, from Easter Island to North India, and from Tunisia to Serbia. A brand new tour on offer for 2020 is Sardinia – Warriors & Traders. This 9-day archaeological adventure will take guests all over the island and also to the most famous and complex of all nuraghic sites, Su Nuraxi, where very special access awaits. Oman is another new destination on Andante’s books and the 11-day tour to this lesser-visited country will highlight the rock art at Hasat bin Sult, the location of the lost city of Ubar and the wealth of fascinating artefacts to be found here. As always, a host of unique experiences await. Notable special access for 2020 includes a private tour of the Archaeological Crypt in Alcácer do Sal, a privileged evening visit to the glittering Cappella Palatina in Palermo, exclusive out-of-hours access to the iconic Hagia Sophia in Istanbul, a private tour of the Great Pyramid of Khufu’s interior, and a visit to the Mithraeum hidden beneath Rome’s Circus Maximus. 2020 is also a special year because it marks the 42nd performance of the once-per-decade Oberammergau Passion Play. Andante will run three departures for guests wanting to experience this legendary event between the months of June and August. Along with full access to the performance itself, travellers will dine at the famous Hofbräuhaus, tour Munich’s Residenz, discover the cultural delights of Salzburg, and sit down to a special dinner concert that has a late-18th century theme in the candlelit surroundings of the St. Peter Monastery. Known for its tours of Pompeii, which are among its longest-running and most popular, Andante has revamped its itinerary for this world-renowned destination, making it more exclusive than ever before. In 2020, a Pompeii tour with Andante includes private access to the store rooms of Paestum Museum, where tombs not open to the public can be observed. It also includes private access to the Grotta di Seiano and the incredible opportunity to visit the theatre in neighbouring Herculaneum, which is opened especially for Andante’s guests. These experiences can’t be found elsewhere and accompany visits to the National Archaeological Museum in Naples, the Pozzuoli amphitheatre, the archaeological site of Pompeii itself, the mighty crater of Vesuvius, and a day’s touring in Herculaneum. Many of the expert Guide Lecturers who lead this tour have excavated at the sites on the itinerary, and from just £1,895pp for eight days, Pompeii with Andante is the way to go. Andante’s 35th anniversary celebrations will include prize giveaways, golden tickets, a photography competition and some other surprises, and the festivities will officially begin with the launch of its full brochure this coming summer. Join expert archaeologist Mark Corney, who contributed to the popular Channel 4 series ‘Time Team’, on a tour of Wessex’s most fascinating sites. Pay visits to Salisbury Cathedral, the iconic site of Stonehenge, Avebury, Fishbourne Roman Palace, the Roman Baths Museum, and Winchester Cathedral, learning their history and stories along the way. Departures in May and August, 2020. Prices from £2,195pp for 7 days. Taking place just once per-decade, the legendary Passion Play of Oberammergau will next be performed in the summer of 2020. In addition to witnessing the spectacle in full, guests will also visit the Baroque-style Nymphenburg Palace, dine at the Mozart-frequented Hofbräuhaus, take a cultural tour of Salzburg that includes a visit to the Mozart Residence, and sit down to a traditional dinner concert in the candlelit St. Peter Monastery. Departures in June, July and August, 2020. Prices from £2,245pp for 6 days. From the thousands of Bronze Age Nuraghi and enigmatic ritual monuments, to ancient Phoenician colonies – discover the diverse and captivating sites that have shaped this intriguing island society. Pay a very special visit to the Nuraghic site of Su Nuraxi at Barumini, discover the well shrine at Santa Cristina, and pore over the fantastic artefacts on display at Cagliari Archaeological Museum. Departures in May and September, 2020. Prices from £2,645pp for 9 days. Travelling alongside expert Terry Richardson, author of many Turkish Rough Guide books, guests will be treated to an all-encompassing and in-depth tour of Istanbul. From a visit to the stunning Blue Mosque and the Topkapi Palace, to the chance to explore the extensive Archaeological Museum and admire the craftsmanship of authentic Turkish carpets in a restored Byzantine-era cistern, this trip covers both the cultural and historical. It also includes an exclusive private visit to the glorious Hagia Sophia, one of the most influential buildings of the Byzantine and Ottoman periods. Departs 16th November, 2020. Prices from £2,495pp for 7 days. A country whose archaeology has only recently begun to be understood, Oman is a brand new destination for Andante in 2020. Hop aboard 4x4s for a journey through date palm orchards to the UNESCO-listed site of Bat, where Bronze Age beehive tombs await discovery. Elsewhere, guests will explore the unique rock art site of Hasat bin Sult, they will seek out the location of the lost city of Ubar – once an entrepôt of the Frankincense trade – and they will spend time in Muscat, visiting its National Museum and Al Alam Palace. Departures in February and November, 2020. Prices from £3,995pp for 11 days. A revamped itinerary for 2020, Andante’s Egypt tour has some money-can’t-buy features. A visit to the Giza Plateau is made even more unforgettable thanks to special access to the inner chamber of the Great Pyramid and there is another special access experience on offer in the form of a visit to the Tomb of Nefertari at the Valley of the Queens. On the seventh day of the tour, guests will board a Nile cruise boat, which will be their home for the next four-nights. The addition of a Nile cruise enables guests to see Egypt from a different perspective, and it allows the route to take in visits to sites that include the Aswan High Dam, Elephantine Island and the Temple of Isis at Philae. The final crowning glory of this tour is the visit to Abu Simbel, two massive rock temples located on the western bank of Lake Nasser. Construction on the impressive, UNESCO-listed structures situated here began around 1244 BC and took an estimated 20 years to complete. 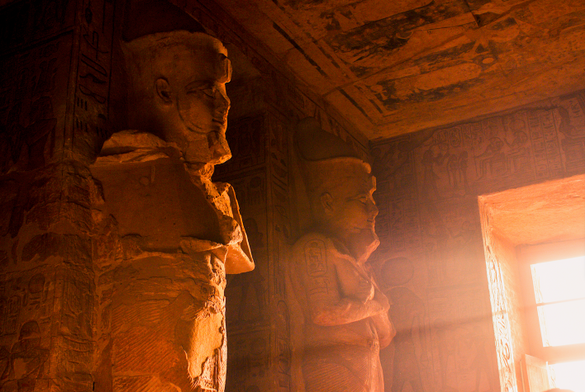 No visit to Egypt is complete without an exploration of this awe-inspiring site. Departs in February and October, 2020. Price from £4,295pp for 12 days. Founded in 1985, Andante Travels – part of the Specialist Journeys group – has grown to become one of the UK’s leading specialist tour operators. The company has previously won the ‘Best Small Holiday Company for Customer Service’ title at the prestigious British Travel Awards, and thanks to the wonderful support of its travellers, it won the Best Special Interest Holiday and Best Holiday Company to the Italian Peninsula & Malta categories at the 2018 British Travel Awards, and was also shortlisted for the Best Cultural Tour Operator in the 2018 Silver Travel Awards. Andante’s tours have also been named ‘Trips of a Lifetime’ by the National Geographic Traveler on five occasions and, earlier this year, it appointed Jackie Willis as its new CEO, who brings with her over 35 years of touring and travel experience. Over the years, the company has introduced thousands of people to the wonders of the ancient world. Its tours are all designed and led by renowned experts, who bring a unique, special insight to each site visited in every corner of the globe, and every one of its itineraries boasts exclusive access to either a museum or venue, a specific archaeological site or to a workshop. Andante’s tours are peppered with hands-on, immersive experiences that offer an authentic taste of each destination and leave the guest with memories that will last long after they return home.